How Do Coyotes Mate and Reproduce? 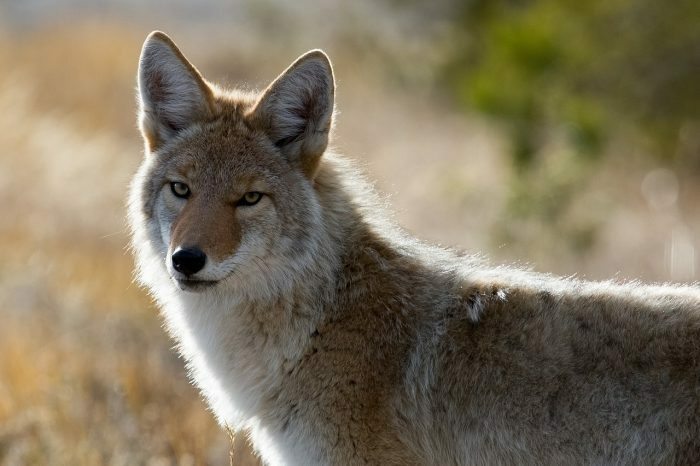 Coyotes typically mate for life, and after copulation, the female coyote experiences a 63-day gestation period before delivering the litter of pups. Coyotes breed in late winter, so the pups are born between early April and late May. Average coyote litter sizes include four or five pups, but the size of the litter depends on the availability of food and the current population density. The pups are birthed and cared for in dens during the first few months of their lives. Both the male and female coyotes care for the young, but the females provide the majority of the care. Once the pups reach 6 months of age, the females start to train them to search for food and care for themselves.